OnePlus started the first Android 9 Pie beta test for the OnePlus 3 and OnePlus 3T in China last week. 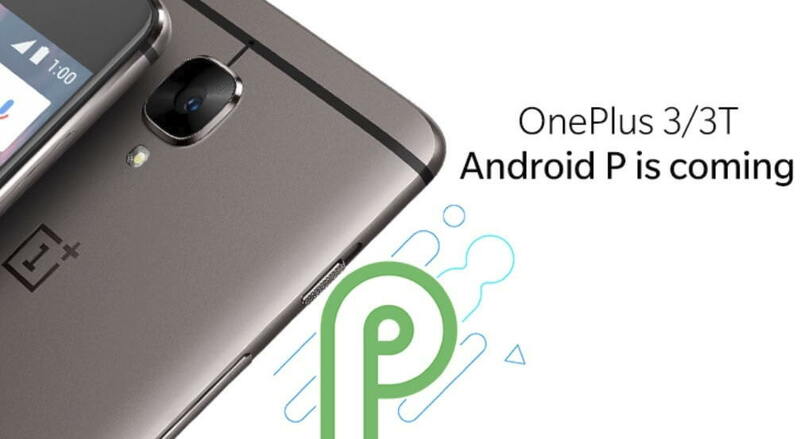 Now, OnePlus have finally released the first public beta build of Android 9 Pie based on OxygenOS 9.0 for OnePlus 3 and OnePlus 3T in China. According to the OnePlus Chinese forum post. The latest Android 9 Pie beta build for OnePlus 3/3T is now available to download via download package. However, the latest update is only available via download package and does not support OTA. The forum post also notes that the stable Android 9 Pie for the OnePlus 3/3T will be available through OTA. The OnePlus forum post also lists the update changelogs which includes, the Brand new UI design, April 2018 security patch, Do Not Disturb and Game Mode 3.0 for OnePlus 3/3T. You can download the latest Android 9 Pie beta update package from the link here and can install it manually on your device by flashing the update file. OnePlus 3/3T was launched back in 2016 running Android Marshmallow. Both these devices were later promised to receive the latest Android 9 Pie. To recall, back in July 2018, OnePlus started the Android 9 Pie beta test globally asking users to apply for Android 9 Pie closed beta tests for OnePlus 3/3T. Now, the two devices have received the first public beta build in China we can expect it to be available soon globally.